LONDON: One in five financial institutions is considering trading cryptocurrencies within the next 12 months, a survey published by Thomson Reuters on Tuesday found. The survey covered more than 400 clients across Thomson Reuters platforms including large asset managers, hedge funds and trading desks at the biggest banks. Thomson Reuters, the parent company of Reuters, provides data and news to the financial services industry. Retail interest in the buying and selling of digital coins exploded last year after prices skyrocketed, and institutional involvement has been predicted to grow, despite regulatory warnings that cryptocurrencies are highly risky and prone to scams. Banks are examining client interest and several hedge funds have tried their hand trading virtual currencies. 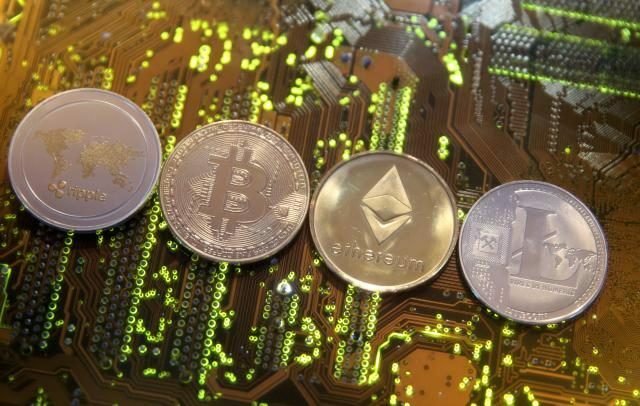 Large falls in cryptocurrency prices this year, however, have encouraged critics to warn again that the market is a bubble and that investors should stay away. The survey was the first conducted by Thomson Reuters so it was not possible to gauge how institutional appetite for crypto trading has changed.